Andrew Barclay was the major British builder of Fireless locomotives and during the years 1910-1961 produced 114 of these machines, more than all the other British builders put together. The first trial of a wholly fireless loco took place in New York during October 1873. This and subsequent experiments in Europe concerned the use of the type on short distance suburban workings, underground lines and tramways. But it was the German company, Orenstein and Koppel who first produced the type of fireless locomotive we know today. They recognised that many customers could make use of a steam locomotive which did not carry with it fire risk or clouds of smoke and coal dust. For instance, munitions factories, paper mills, oil refineries and foodstuff producers. Fireless locos were also popular with power stations and chemical plants where they could be charged from an already abundant steam supply to provide a cheap form of motive power. It was also Orenstein and Koppel who introduced the fireless principle to Great Britain when in 1907 their Drewitz plant built an 0-4-0 for Empire Paper Mills, Greenhithe, Kent. The first successful British machine did not come until 1913 when Andrew Barclay delivered No. 1207 to the Admiralty Explosives Depot, Bedenham, Hampshire. The Great War saw a rush in the construction of these engines for use in the armaments industry, but thereafter production fell off to a handful every year until 1961 when 163 units had been built by ten manufacturers. Mechanically, fireless locomotives are much the same as any other steam engine, but instead of having a boiler, a large, well insulated, reservoir is mounted on the mainframes. This is charged with steam from an external source to about 180 psi (12.4 bar) and the loco is capable of useful work until the pressure drops to 30 - 40 psi (2.1 - 2.8 bar). One charge can last for several hours, depending on the amount of work to be done. An important thermodynamic principle enables the fireless locomotive to make the most of its charge of steam. As the pressure drops the hot water remaining boils again at the lower pressure due to the temperature having remained fairly constant, thus producing more steam for further work. Unfortunately the process is not continuous because of heat loss and also the drop in water level as it is turned to steam. Once the reservoir is warm however, recharging is quite quick. 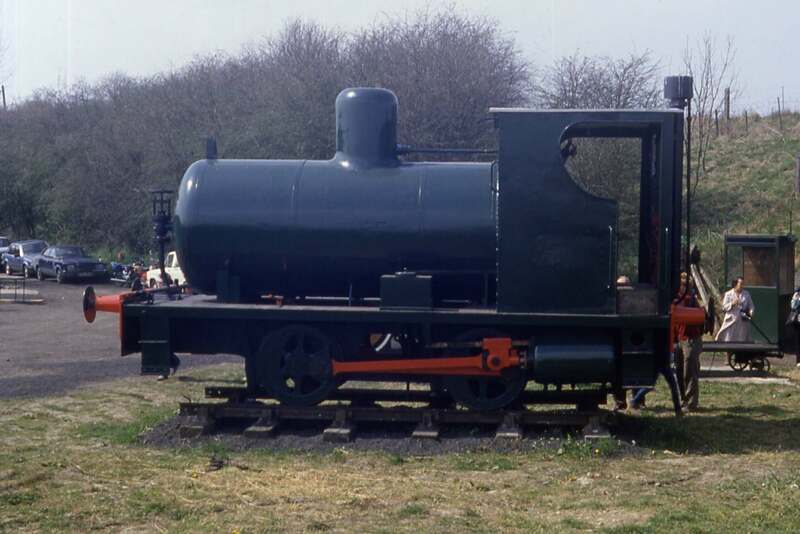 The Quainton Railway Society was the first preservation organisation to restore a fireless locomotive to working order. 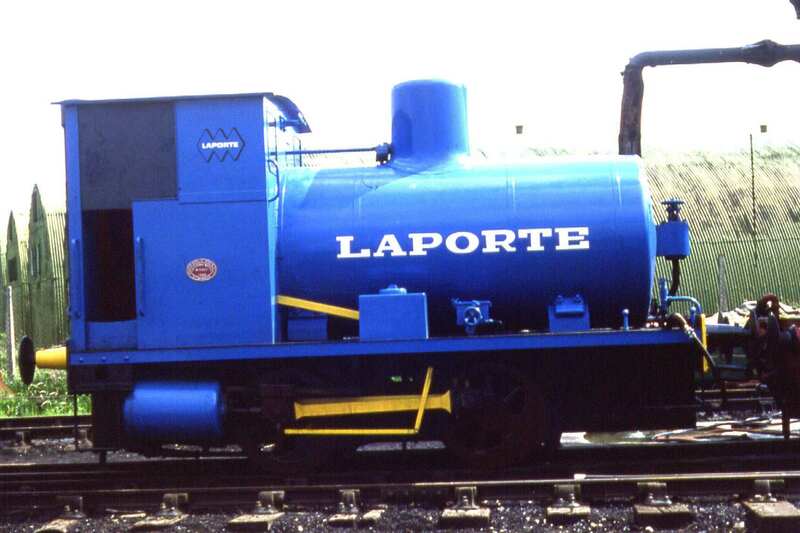 Instead of a factory boiler, another conventional steam loco was used to charge the reservoir. The fireless was coupled up to a locomotive which has been fitted with the necessary equipment for the operation, steam being fed into the fireless machine's reservoir via a high pressure flexible hose and non-return valve. The principle of steaming a fireless locomotive is reasonably straight forward, though as usual with high pressure steam extreme care needs to be taken. Quainton Railway Society cannot be held responsible for the general principles outlined below, which are intended to be indicative only. The receiver or reservoir on a fireless locomotive is just that, as it is incapable of raising steam in its own right, the insurance requirements are less than for a boiler, being more akin to those for an air receiver on a compressor installation. The receiver needs to be filled about half way full with cold water and then a suitable steam supply is connected. Arranging this safely is probably the most difficult part of the exercise, Quainton trialled both a rigid pipe connection and a specialist HP steam hose. One of the safety points to consider is if a conventional steam locomotive is to be used, there is no possibility of differential movement between the conventional locomotive and the fireless locomotive. Quainton used a spare mounting on Coventry No. 1 which needed to be of a good size, say 2". The conventional locomotive needed to be fired much more than when moving, as effectively there is a 2" 'hole' in the boiler. The steam entering the fireless' reservoir condenses at first - accompanied by a noise not unlike Dr Who's Tardis! It is necessary to dump some water as the reservoir fills with condensed steam. Eventually though, the reservoir temperature rises, the condensing stops, and as it does the pressure rises in the fireless' reservoir. Quainton found it went up to about 20psi less that the pressure in the conventional locomotive. When things stabilise it is possible disconnect the steam supply and the fireless is ready to move. Facilities are required to allow the connecting hose to be depressured before disconnection is attempted. In use the pressure drops quite rapidly at first, but then stabilises, before reducing much more slowly. Fireless engines have big cylinders for their size, so they work down to very low pressures. The one at Quainton was moved on about 15psi, though 30psi is a more practical minimum pressure. The important factor is that although the pressure drops, the water will boil again and produce more steam, until the pressure is too low to move the cylinder. If the locomotive is recharged quickly after the pressure gets too low, the reservoir metal work is still hot, so less steam is condensed on recharging the locomotive.